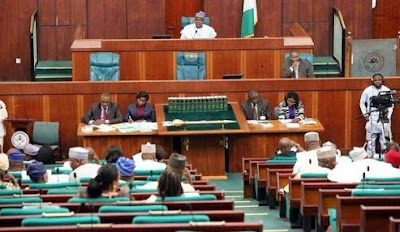 Following the declaration of June 12 as Nigeria’s Democracy Day in honour of Chief MKO Abiola, the Senate has asked the Independent National Electoral Commission (INEC) to announce the results of the June 12, 1993, presidential election. The Senate made this demand amongst others on Thursday during plenary. It resolved that to seek the announcement of the election results, ensure that all allowances and entitlements to the families of M.K.O Abiola and Babagana Kingibe be made available to them and declare June 12 a public holiday. Abiola was presumed winner of the June 12, 1993, presidential election but till date, the result has not been fully announced. The election is arguably one of the freest and fairest in Nigeria but was cancelled before its results were announced. Senator Abiodun Olujimi who raised the motion lauded the president’s decision to honour Abiola for his contribution to Nigeria’s democracy and further requested the nullified election results be announced. “Mr President should endeavour that INEC announces the result of the election held on June 12th and declare Chief MKO Abiola as the winner as his family is still in existence,” Olujimi said. Senate President Bukola Saraki also commended the recognition of Abiola to the struggle for Nigeria’s democracy. “We recognize the fact that the recognition of Chief MKO Abiola and his contributions have been long overdue,” Saraki said. Buhari had also announced the conferment of Nigeria’s highest national honour GCFR, on Abiola while his running mate, Babagana Kingibe and late lawyer and human rights activist Gani Fawehinmi were conferred with the second highest national honour, GCON.